The exotic lotus flower has been reinterpreted in this striking necklace. Five openwork petals blossom from between an 18" chain, radiant in 14kt white gold. 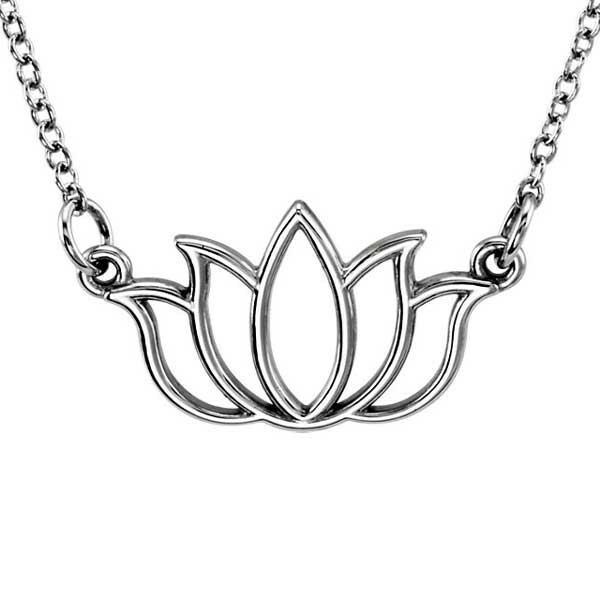 Your confidence will be in full bloom each time you wear this attention-grabbing necklace.